This course includes information needed to embrace person centered dining and enhance a long term care facility’s dining program. Describe the core person centered values. State the primary focus of culture change. Express at least 3 of the 6 basic principles of person centered care. List at least 3 benefits of person centered care for the patient and/or the facility. Understand some of the major models of person centered care such as the Eden Alternative, the Green House Project, the Wellspring Model, and the Pioneer Network. Explain at least 3 of the key points from the Pioneer Network’s New Dining Practice Standards recommended course of practice related to diet and personal choice. Describe at least 2 of the 5 Rights of Dining from the Pioneer Network’s New Dining Practice Standards. State at least 5 ideas to improve the quality of food. Describe at least 5 ways to enhance food presentation. List at least 2 recommendations from the Pioneer Network’s New Dining Practice Standards related to therapeutic dining. List at least 2 recommendations from the Pioneer Network’s New Dining Practice Standards related to diets for dysphagia. Describe the meaning of resident’s right to refuse medical treatment including therapeutic or texture modified diets. Describe the concept of a liberal diet vs a restrictive diet. Describe how to adhere to federal regulation F325 while at the same time providing resident choice. Describe how to adhere to federal regulations in relation to facility gardens and/or local food vendors. Adapt the policies and procedures provided to fit the facility’s needs. 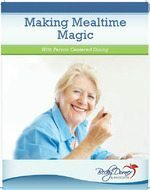 Explain how to guide a resident to choose a healthy menu for each meal. List at least 5 ways to improve nutrition/dining services to promote a more person centered dining experience. Note at least 5 ways to contain costs when implementing person centered dining. 1.3.6 Develops and implements culturally appropriate strategies when delivering service. 2.2.1 Identifies the need for and negotiates common ground with customers, interprofessional team members and other stakeholders. 8.4.4 Considers customer’s choice, beliefs, food sensitivities, allergies, wants and needs. 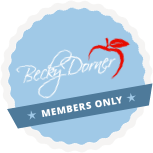 Becky Dorner, RDN, LD, FAND is widely-known as one of the nation’s leading experts on nutrition, aging, and long-term care. An experienced speaker and extensively published author, Becky is Founder/ President of Nutrition Consulting Services, Inc., whose dedicated team of RDNs and NDTRs have served health care facilities in Ohio since 1983 and currently provide food and nutrition services to approximately 100 health care facilities in two states; and Becky Dorner & Associates, Inc., which provides a broad library of credible continuing education (CE) programs and nutrition resources. Liz Friedrich, MPH, RD, CSG, LDN, FAND is a Registered Dietitian and president of Friedrich Nutrition Consulting in Salisbury, NC. The company provides a variety of nutrition consulting services with a focus on gerontological nutrition. She has co-authored numerous articles in journals and magazines, including the Academy of Nutrition and Dietetics, and is an evidence analyst for the Academy of Nutrition and Dietetics’ Evidence Analysis Library. In 2009 Liz became Board Certified as a Specialist in Gerontological Nutrition.